HODIE 2a vice lecta est Billa, for the avoiding of Counterfeit Steel, que commissa est Comiti Salopp. Episcopis Dunelmen. et Wigorn. et Domino Ryche. 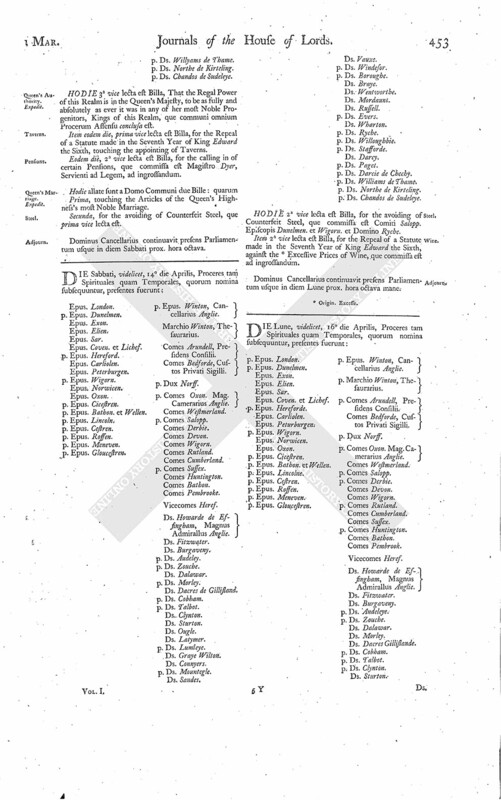 Item 2a vice lecta est Billa, for the Repeal of a Statute made in the Seventh Year of King Edward the Sixth, against the (fn. 1) Excessive Prices of Wine, que commissa est ad ingrossandum.